Another Friday Night Lights at the Mildred Ave. Community Center with tonights game opener Fab 5 vs. Brighton. 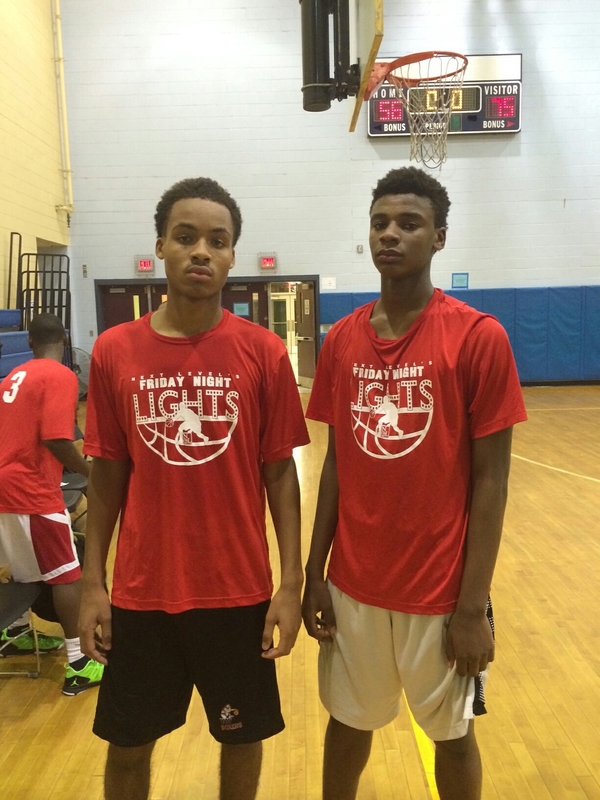 Brighton opened the game with an 8-0 run by sophmore duo, Tyrone Perry and Jordan Galloway. Jonathan Duvivier of Fab 5 wouldnt let the run go on to much longer putting in 6 straught points of his own to cut down the lead. Forcing back to to back turnovers, Fab 5 reclaimed the lead with 5 minutes left of play in the first half 28-25. Duviver continued to carry his team with 17 first half points. Fab 5 finished the half with a 45-31 lead. To open the half, Brighton had bavk to bavk buckets taking the second half momentum in thier favor. Fab 5's defensive pressure woukdnt let the Brighton squad have a chance to chop down the lead any further scoring back to back baskets of their own. With under 5 minutes to play Fab 5 extended the lead to 67-51. Brian Henry of Fab 5 chipped in 17 points to go along with teammate Duviver 17 in the victory over Brighton 75-56. Lee school showed no mercy against the younger team Roxbury Titans opening the game with a 25-3 lead. The young talented players did not back down with aggressive plays to the basket forcing the officials to make calls in their favor. Dajour Dunkley owned the first half with 2 dunks and 23 first half points. Kovonne Witchell of Lee School added 21 points himself. Lee school took the victory with a 93-56 win over the Titans, Dunkley finished with 29, and Witchell finished with 31. It was a tough matchup between the two teams YABC and Money Team. With multiple lead changes, The Money Team was able to hang onto the lead with 1.4 seconds left. The Money team fouled on a hail mary 3 point attempt, giving YABC the opportunity to take the lead and win the game or force an over time situation. The YABC team missed all 3 freethrows to seal the game. Money team walked away with a 33-32 victory. Friday Night Lights Action Tonight! Today out in Wellesley we had a great time training!